Today’s review is going to be a little bit different, because I’m not reviewing a game… I’m reviewing 22 of them in one fell swoop. That’s right, Pyramid Arcade represents the latest evolution in the Looney Pyramids series of puzzle games, combining and refining years of Looney Labs games and innovations into one sleek package. You see, when Andrew Looney started the Looney Pyramids series of games, his goal was to develop a puzzle game as infinitely adaptable as a deck of playing cards. 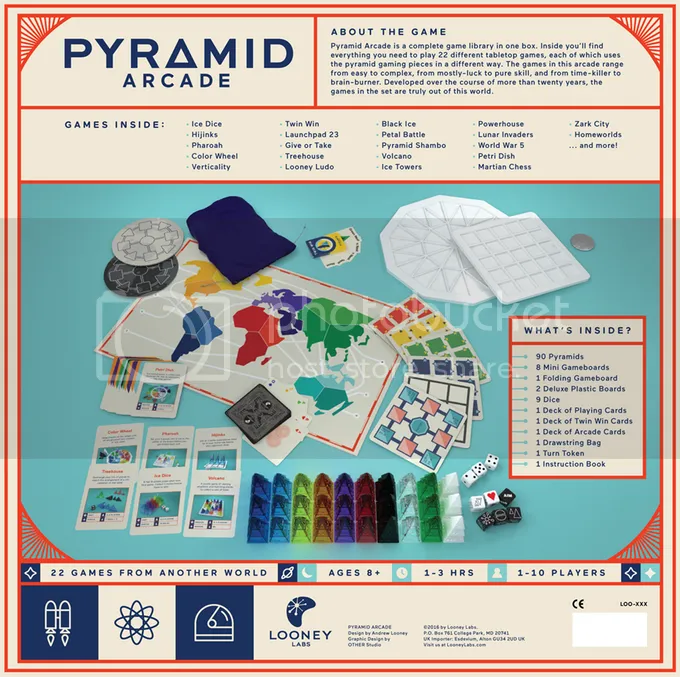 Pyramid Arcade is the next step in that process, amassing 22 games — some previously released, some new — in one massive rulebook. And everything you need to play is included, from game boards and dice to sets of pyramids in ten different colors. Honestly, there’s a game in here for every type of puzzler. There are one-player games as well as games for 2-6 players, and even games for 10 players. There are combat games, collaborative games, wagering games, games of chance, balance games, and more. Some games require all 90 pyramids in the set! And although some of the games are a little abstract — I’m still wrapping my head around Martian Chess — sitting down and actually playing through all the different options brings even the abstract concepts down to earth. You might be playing an insect in one game or a germ in another, but traditional puzzle skills and board-game styles rule the day here. Stacking games like Hijinks are where the Looney Pyramids really shine as puzzle games. Being able to move beyond the two-dimensional play that defines so many board games adds a great deal of strategy and style to the gameplay. Whether you’re building rockets in Launchpad 23 or Jenga-like towers in Verticality, the pyramids become more than simple game pieces. Although the price tag is higher than the usual board game or puzzle game fare, Pyramid Arcade is worth it. 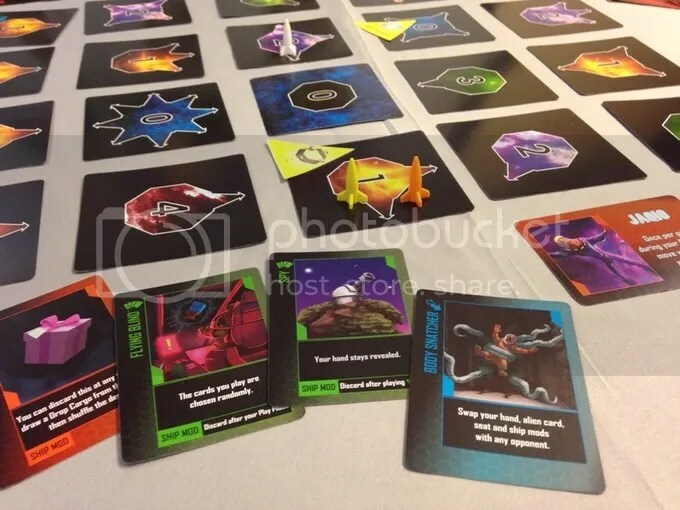 Not only do you get over twenty different games, but the rulebook includes a history of Looney Pyramids products, challenges for you to make your own Looney Pyramids games, and teasers for 22 additional games created by fans and submitted to Looney Labs online. It’s impressive, all that you can accomplish with these curious little pyramids.